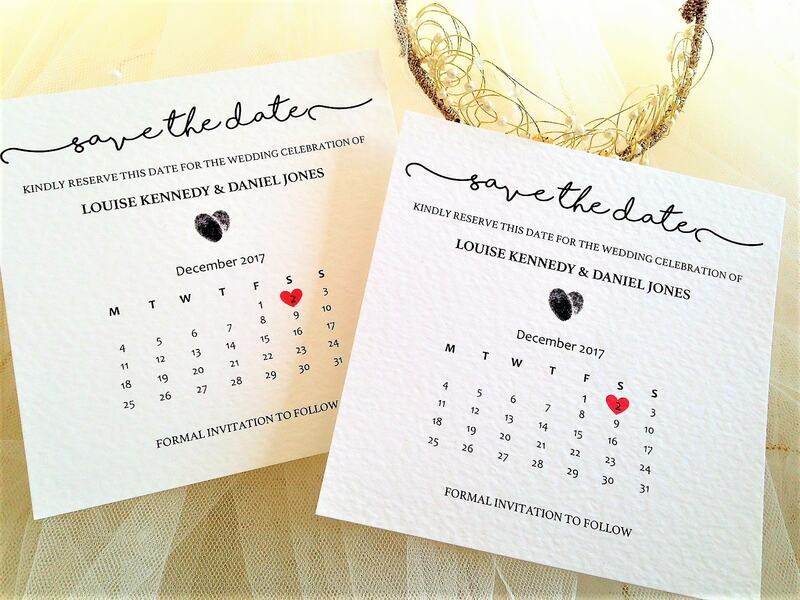 Calendar save the date cards to announce your wedding in style! 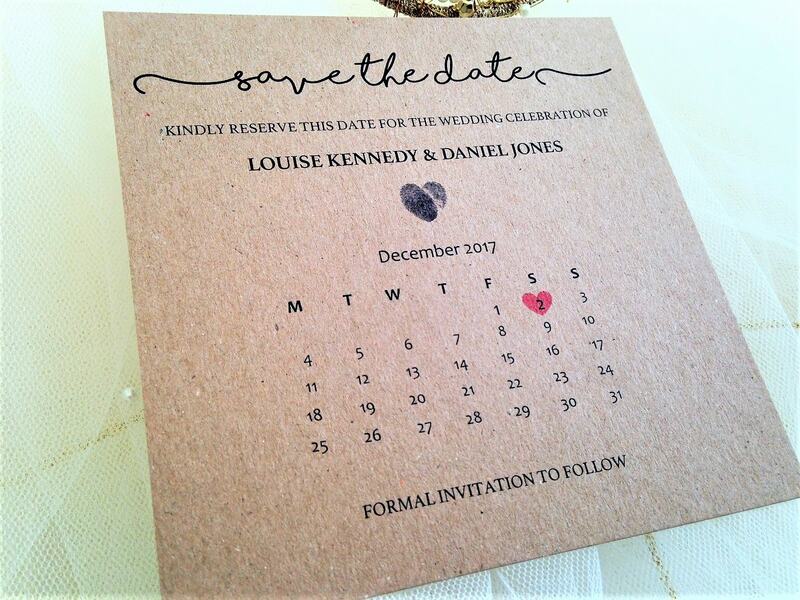 Our attractive calendar save the date cards are available on either a top quality thick heavy weight (270gsm) hammered card in white or ivory or brown rustic kraft card (280gsm). 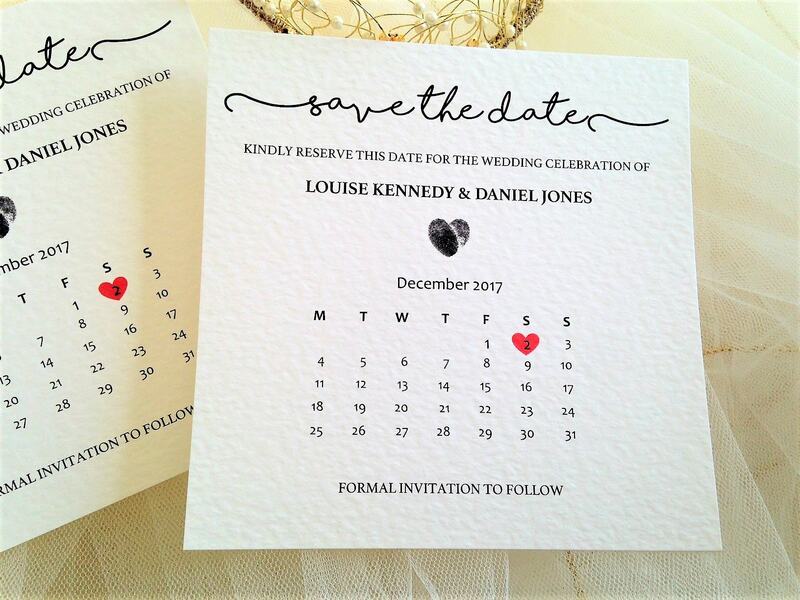 This design also features an attractive thumb love heart and your wedding day of the month is highlighted with a red love heart. Prices include all personalised printing and a matching envelope. 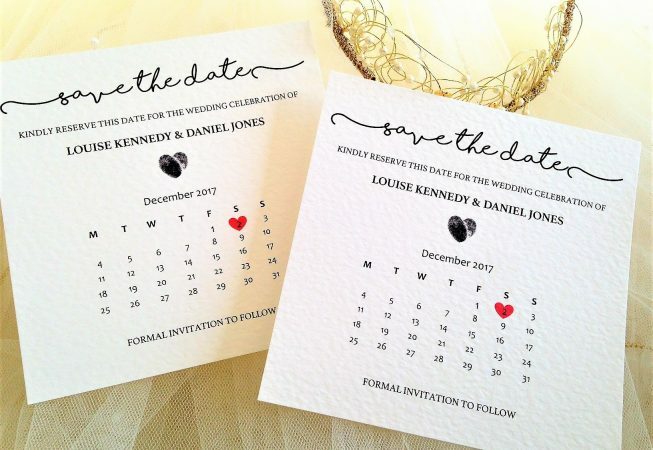 Follow these up with our fabulous Perfect Match Wedding Invitations. We have short lead times, our printing is done in house. 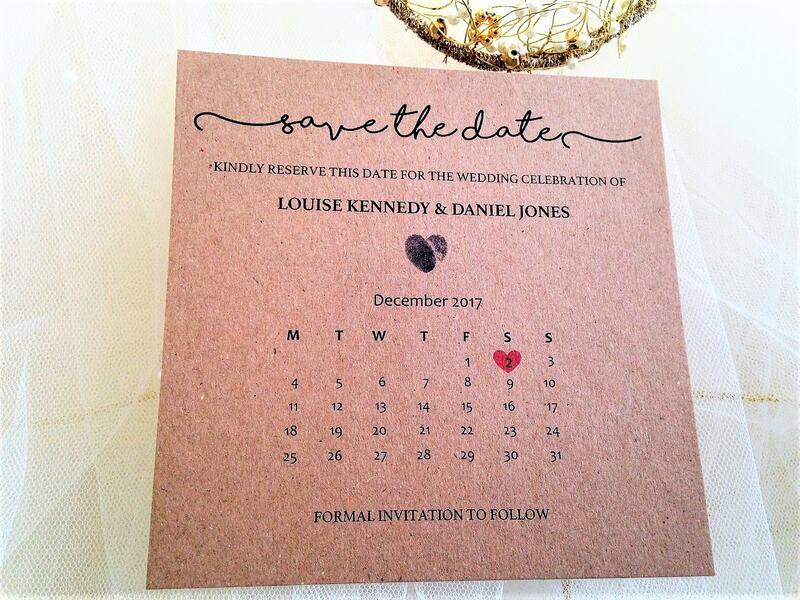 Save the date cards can be ordered and supplied within a short timescale, usually 3-4 days for quick delivery in the UK.